Chapter 4 Page 19 is posted. Jassart and the guard face off. Well, not really. This isn’t a duel and Jassart takes every advantage he can. 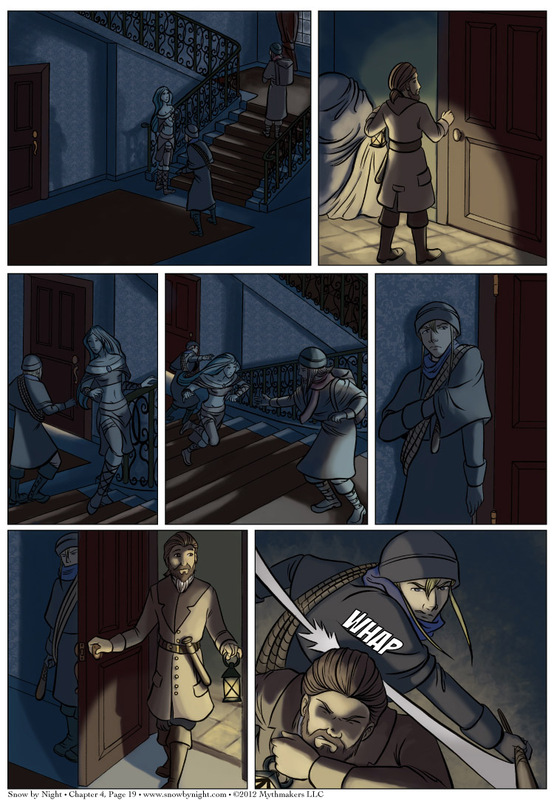 To see a peek at what happens next, vote for Snow by Night on Top Web Comics. HeroesCon is this weekend. Britt and I will be there with chapter books for Chapters 1 through 3, as well as prints of Blaise and Jassart (Mathilde and Snow-by-Night are coming soon), the alchemical rifle from Chapter 2, and a set of glyphs of the four elements. 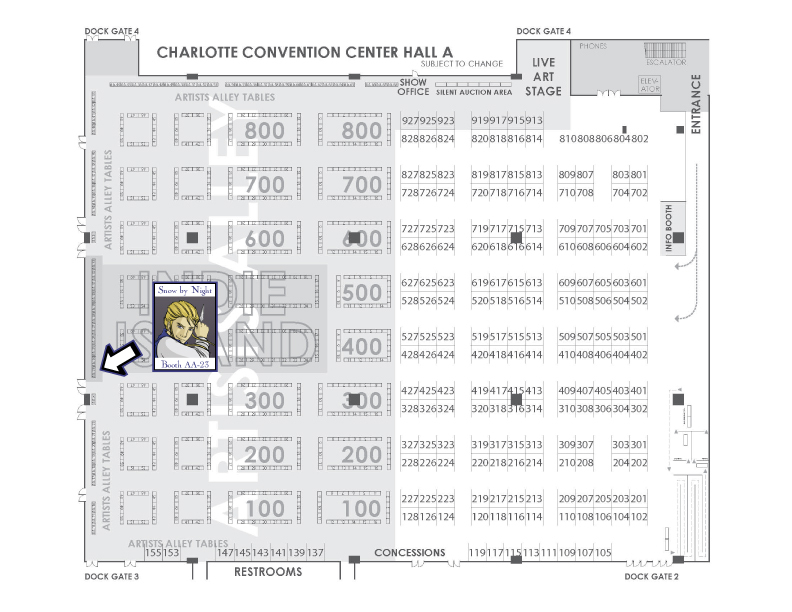 Heroescon is pretty big so I’ve prepared the following handy dandy map to help you find us. It’s all fun and games until the guard dies from internal bleeding and you get charged with murder. ._. Fortunately for them, they live in a fictional universe. Because I don’t believe there is a single fictional universe where hitting someone over the head to knock them out causes lasting damage.